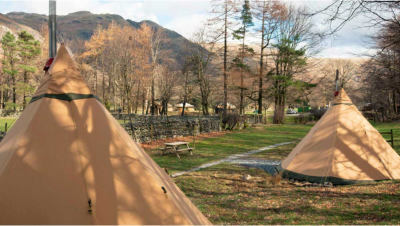 This meet is for 3 nights glamping at the Langdale Valley, staying in a Yurt located at the National Trust site, close to the Old Dungeon Ghyll pub. There are plenty of walk options right on the doorstep, with some beautiful low level walks among the tarns and waterfalls or more challenging steeper climbs up the pikes. I'm sure most members are familiar with the campsite - it has a shop and there are 2 toilet and shower blocks with washing up areas. There is also a laundry and drying room, which might be handy. There are 3 yurts available and each one sleeps 6 with cooking facilities and a log burner. The full cost is £56 per person (with the assumption of 6 to a yurt). Currently there are 2 yurts fully booked, with the possibility of booking the third, subject to availability, if another 6 people would like to join the meet. A £14 deposit is needed to secure your place. Please contact Barb if you are interested.